On June 29 a court met in the Police Institute at Tora on the margins of Cairo– “a security fortress, managed by the Ministry of Interior,” next to Tora prison where tens or hundreds of thousands of dissidents have been held and tortured over the years. It heard the case of 23 people arrested in a peaceful protest against Egypt’s draconian protest law on June 21. (More on the case, and the detainees, here.) After a long, hot day of delays while the prisoners waited in the courtroom cage, the judge left for home without even announcing the disposition of the case. It took hours for lawyers to find out that he’d scheduled the next hearing for September 13, meaning the prisoners will swelter all this blazing summer in crowded cells. In an ominous sign, before departing, the judge sentenced defendants in another protest-law case to five years. Even the courtroom guards were stunned: “Five years for a one-hour march?” one policeman said. Colleagues of mine have been able to visit my friend Yara Sallam and some of the six other women’s human rights defenders in al-Qanater prison. They are in good spirits but they have asked for letters. Fortunately, there’s a way to get letters to the women prisoners. You can send them in e-mails, and colleagues will print them out and try to deliver them. You can also write separately to the men who have been jailed in the same case, and efforts will be made to deliver those. You can write to individual prisoners, or to groups. They would all appreciate contact with and support from the outside world. 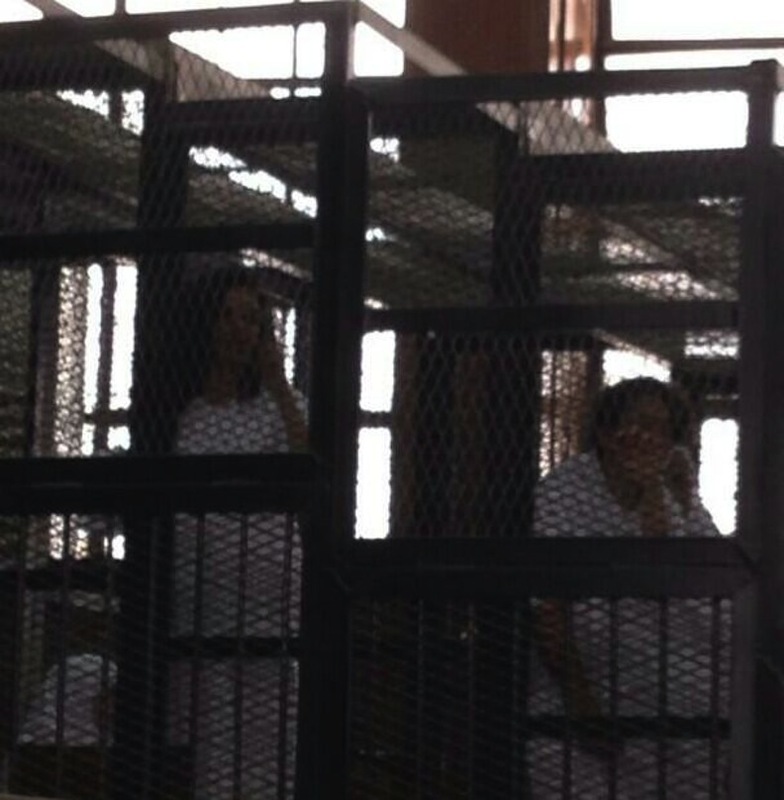 Take a minute to write a few lines thanking them for their struggle for democracy in Egypt. For now, you can send the letters to them to me at scottlong1980@gmail.com and I’ll forward them to the people who will try to deliver them. The names of the detainees are below. An action alert from FIDH here includes addresses to write to the Egyptian authorities in protest against their detention. 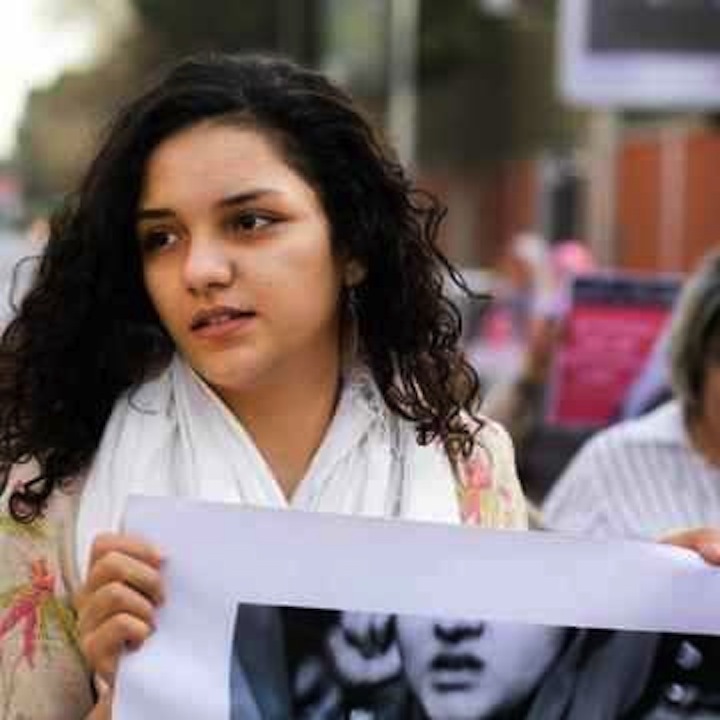 This entry was posted in Human Rights and tagged Al-Qanater, Egypt, human rights defenders, June 21, protest law, Sanaa Seif, SCAF, Sisi, Tora, Yara Sallam by scottlong1980. Bookmark the permalink. أحب أقول لبنات مصر الحرائر أنتم بطلاتنا وفخر البلد دي مهما طال الظلم ومهما طال القهر ومهما طال جهل الناس بيكن وعدم فهمهم آد ايه أنتو بتضحوا عشان حريتهم وكرامتهم.. وقريب اوي بإذن الله ربنا حا يظهر الحق.. وحاتخرجوا مرفوعات الرأس ومرفوغات علي الأكتاف وسيحييكم الشعب اللي خونكم مرتين.. مرة لانكن بنات وسيدات حرائر.. ومرة لانكن مناضلات مصريات.. وسينتقم الله من كل من ظلمكم او آذاكم سترون انتقام الله.. وتبرد ناركم والمكم مما تتعرضون له من ظلم وقهر..